Interactive Story: The Path to Pokemon Master! Me: "Silver wakes up from his sleeping bag. He packs all of his stuff, then calls out his Quilava. It yawns, stretches, and then runs around a few times, shooting fire in the air." You: "Team Rocket appears, trying to steal Quilava. However, Quilava lets loose a Flamethrower, sending him flying into the air." Obviously, they would be more complex and such, but it allows you to be a part of the story!! The Path to Pokemon Master! Silver awakens suddenly from his sleep. He rubs his eyes vigorously, then looks out the window. The morning sun is streaming in through the window. Through the window, he sees the laboratory of Professor Elm. Silver spots Prof. Elm walking by the window and Silver waves at him. However, Prof. Elm dose not spot him and continues walking. Silver suddenly comes up with an idea. Silver quickly gets dressed and runs outside and into Prof. Elm's Laboratory. He then spots a Pokeball.. Without letting anyone see him, he takes the Pokeball. Suddenly, he hears Professor Elm's voice. "Oh, uh, nothing Professor. I just saw it and thought I would, uh, return it to you!" "That is very kind of you Silver, hand it over" says Elm, holding his hand out to the Pokeball. Silver puts the pokeball into Prof. Elm's open hand. Then, he walks out of the lab. "Aah," Silver sighs, "Tomorrow's another day..."
Silver is rather dissapointed. 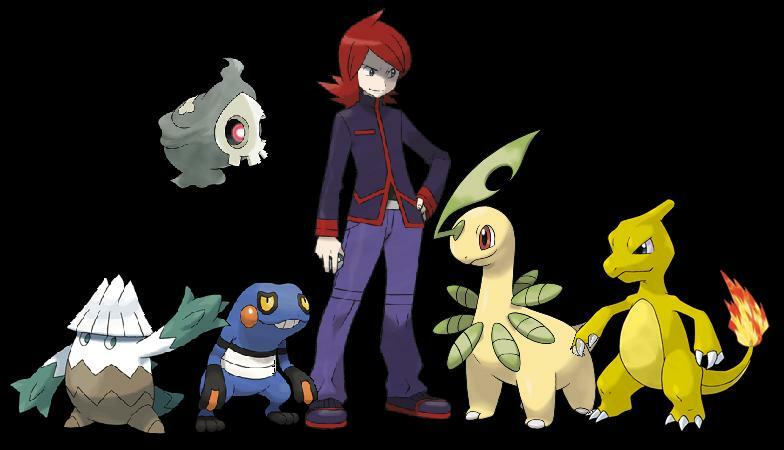 Most every boy and girl his age, 13, in his hometown have a Pokemon already. 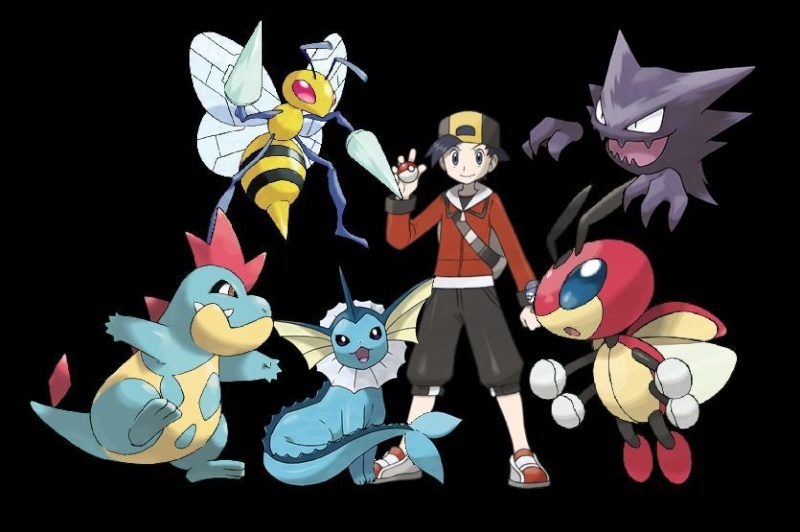 Several have left for their own journeys to become Pokemon Masters or Breeding Experts. He wishes he could have a Pokemon of his own so he could start on his own. He wants to get out of this place. Then, he spots something rustling in the nearby grass. He walks over to see what it is and a Beedrill jumps out at him. "Cyndaquil! Come back!" shouts a voice. The bushes part to reveal Soul, tired and bruised from the forest. Her partner, Cyndaquil dashes out, but runs into the Beedrill. Spooked from its sudden appearance, Cyndaquil uses Ember and quickly faints the wild Beedrill before running off into the distance. "Oh, hey Silver! Can't talk now, but I'll see you later, ok?" she manages to say before disappearing. Silver stands there, stunned. He then shakes his head and looks down at the Beedrill that Soul left behind. Silver looks off at Soul and her Cyndaquil running away, and looks back at the Beedrill. He picks it up, and runs to his house. Silver walks inside his house, seeing his mom in the kitchen, he runs up the stairs to his room. As soon as he gets to his room, he lets go of beedrill onto the floor. Laying on the bed and looking up at the ceiling, Silver wonders, "Was it a right thing to do, taking that beedrill?" Silver looks over at the Beedrill. Only the Beedrill's abdomen moves as it breathes. However, it still seems to be knocked out. He continues to look at it. "W-woah!" Silver shouts as the Beedrill stinger just manages to miss him. "H-hey now," he stammered, "easy does it..."
"Silver! What's going on!?" his mother shouted from down stairs as the Beedrill buzzed around the room. "N-nothing!" Silver yelled. He looked around for a pokeball. "Aha! Now, in you go you-"
However, the Beedrill was nowhere to be seen. Silver's face dropped. Siver looked out the window and the beedrill is nowhere to be seen. Then, he hears his mom coming up the stairs and he thinks to himself, "I am going to regret this." He then jumps out the window. "Hey Silver! I need that!" Soul snatches Silver's pokeball, without realizing there's a pokemon inside. "I'll pay you back tomorrow!" She says before heading off. Silver stares in her direction, speechless of the random turn of events. After shaking his head silver turns and runs after Soul. "Soul, wait!!" He sprints after her, determined to get his Pokemon back. He spots soul run into her home and runs after her. He decides that it is stupid to go through the front door so he climbs their wall and climbs into the window, as soon as he gets up he sees Soul with the Pokeball. She is surprised by Silver's sudden entrance through the window, but she asks him what he is doing in her house. "U-um, well..." Silver stammers. "Darn it! Why can't I think of something!" He thinks, "Well..... uhhh prof elm wanted me to bring it to him it is one of his pokemon... yep thats it." Soul says," Oh, ok, I will come with you then!" "Oh, well Prof Elm said he wanted me to come by myself. He said it was a secret package. 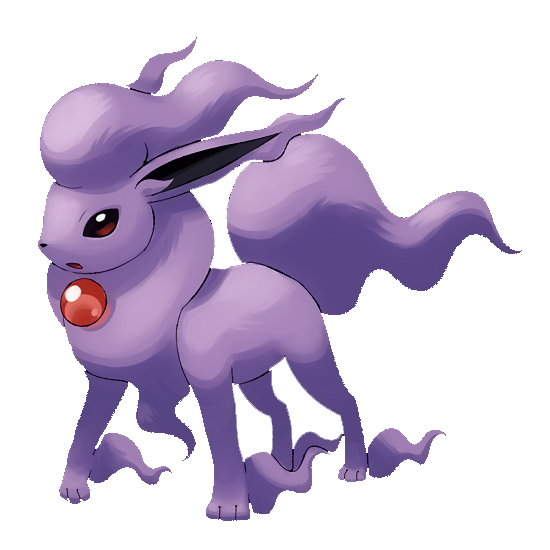 Got to go bye" Said Silver hastily and ran towards Prof Elm's lab. A few minutes later, Silver arrived at Prof Elm's lab. He was not sure why he actually came here, it was just an excuse. However, just then, Prof Elm noticed Silver and walked up to him. Silver! How are you doing? I have a quick question for you. Since Soul and the others already have their starter Pokemon, ould you like a Totodile? It's the only one left out of the 3 I originally caught. I think it would be a very good idea if you had a Pokemon of your own." "Well...I do have Beedrill already.. Silver thought to himself. Aw what the heck, I want it!" "A totodile? Uhm, SURE!" Silver exclaims. Prof. Elm holds out his hand and he drops the ball into Silver's hand. "I know you pretty well Silver, I am sure you will take care of it well." "U-um...thanks." Silver said. He then continues to walk towards the door. Just as he was heading out, someone entered the lab and ran into him. "Ouch!" Silver gasps, just when he hits the ground. Pokeballs and items scatter, making a big scene. Silver gets his pokeball and releases Totodile, checking to make sure. He stands up and gets ready to help the fallen person. Totodile lands on the ground, then bounces back by springing with its hind legs. It jumps towards Silver and bits his arm. "Yaaaooowww!!!" Silver yells. He jumps up, flailing his arms frantically. "Haha! You guys already make a good team!" said the onlooker. It was Soul. Suprised, Silver asked "How'd you get here? You were just behind me a second ago-"
Soul interrupted, "No time for that now! Let's battle!" 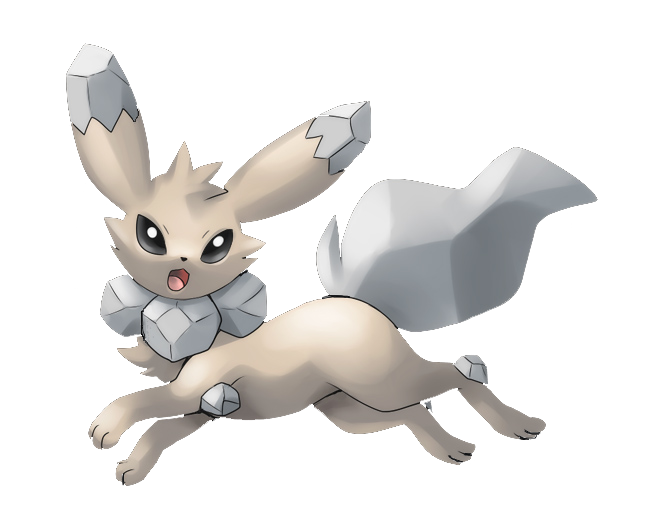 UP AND COMING POKEMON FOR SILVER! 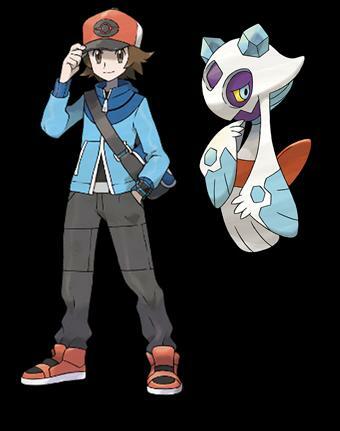 UP AND COMING POKEMON FOR SOUL! He spots a pokemon - Totodile. Without letting anyone see him, he takes the pokeball containing the pokemon. Suddenly, he hears Professor Elm's voice. Silver puts the pokeball into Prof. Elm's open hand. Then walks out of the lab. "Haa," Silver sighs, "Tomorrow's another day..."
"Cyndaquil! Come back!" shouts a voice. The bushes part to reveal Soul, tired and brusied from the forest. Her partner, Cyndaquil dashes, but runs into the Beedrill. Spooked from its sudden appearance, Cyndaquil uses ember and quickly faints the wild Beedrill before running off into the distance. laying on the bed and looking up at the cieling silver thinks, was it a right thing to do, taking that beedrill? Silver looks over at the beedrill. Only the Beedrill's abdomen is moving as it breathes. It still seems to be knocked out, however. He continues to look at it. "W-woah!" Silver shouts as the Beedrill stinger just manages to miss him. "H-hey now," he stammered, "easy does it..."
"Silver! What's going on!?" his mother shouted from down stairs. The Beedrill buzzed around the room. 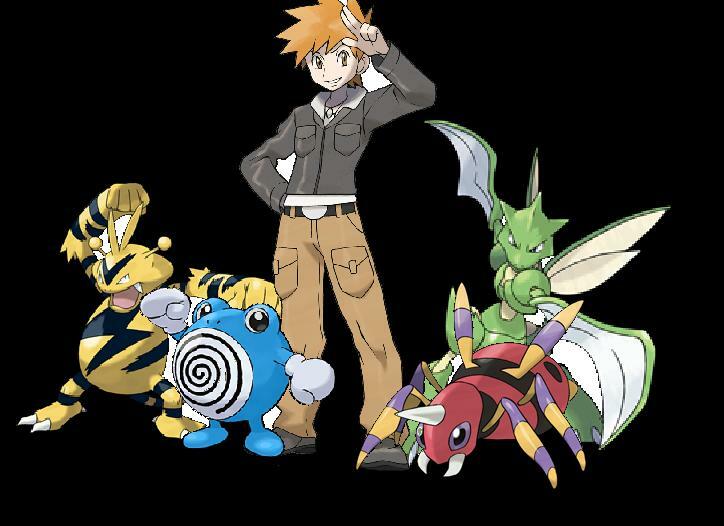 The Beedrill was nowhere to be seen. Silver's face dropped. Suddenly he hears a buzzing to his left and barely dodges beedrill's stinger by a hair. 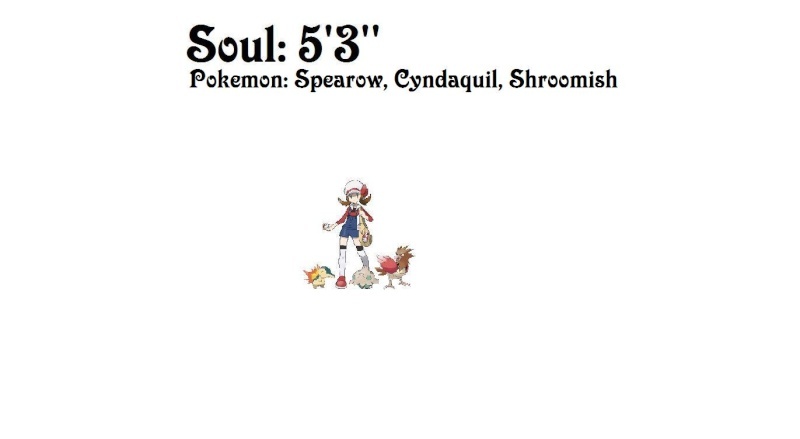 And throws it at the beedrill, cursing when the ball only goes a few inches, cause he couldn't throw for his life. "U-um, well..." Silver stammers. Darn it! Why can't I think of something! Subject: Re: Interactive Story: The Path to Pokemon Master!